Nothing suitable in promotional kids photo frames? How about custom branded photo frame keyrings, logo printed corporate photo frames or one of our promotional magnetic photo frames? Promotional giveaway for kids are effective, as kids build brand loyalty early on and just love cheap promotional giveaways. 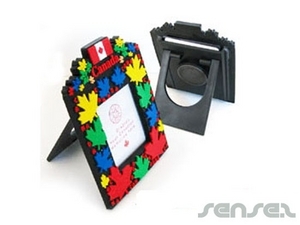 Promotional photo frames offer great brand exposure and offer brand display space on office desks and in homes. 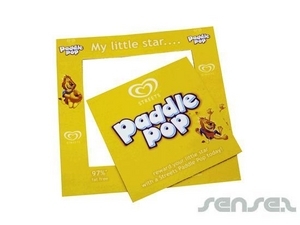 We have a large innovative range of photo frames available - from custom printed chocolates with your photo and displayed in a plastic photo frame to coin bank photo frames or digital photo frames with your corporate logo print. Promotional acrylic photo frame Promotional key-rings are great for parents to keep photos of their children inside. Promotional magnetic photo frames are great for the fridge and home. Liquid filled photo frames are also a great way to display photos of love ones in the home and around the office. 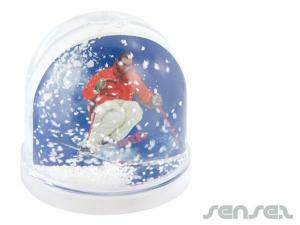 Or try our snow dome photo insert baubles - perfect for Christmas!